Chris Woodruff reached the semifinals of the 2000 Australian Open. While playing for the tennis team of my high school in small town West Tennessee, I was occasionally asked about my chances of going pro one day. I always found this amusing; sure I was usually winning my matches, and sure, I eventually became, in my senior year, the No. 1 seed on our team. And of course, I was a teenager wholly ignorant of the workings of the world outside of the space I’d known in agrarian West Tennessee. But even I found the idea of my going pro ridiculous. I mean, I wasn’t even the best player in my own family. My brother-in-law Jay had played for a prep school in one of the bigger cities of our state, where tennis is actually regarded as more than an afterthought enjoyed by less popular students not big enough to play football or athletic enough to dunk a basketball. I had never beaten Jay, and even he had never contemplated going pro. He had a better idea of what that level entailed, however, having run into Chris Woodruff when both were in their pre-teens. “I couldn’t get back the balls he was hitting,” is how Jay has described their encounter. Then again, the balls that Chris Woodruff hit weren’t easily retrieved by anyone. Less than a decade after their encounter he was enrolled at the University of Tennessee at Knoxville, and was an All-American in his freshman year of 1992. 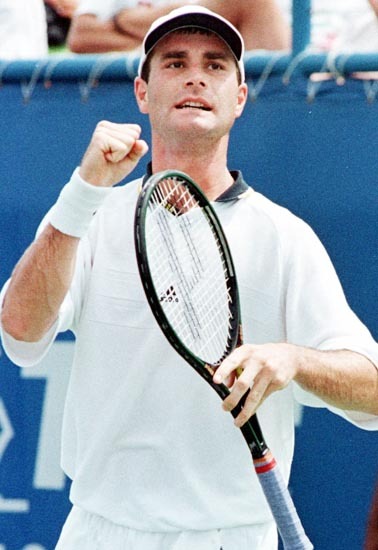 As a sophomore he leapt from one of the best collegiate players in the country to the best of all, taking the NCAA singles title in 1993, and subsequently taking his skills pro. But by the middle of 1997, traveling the world as a tennis pro had brought precious little glamour to the life of this Tennessean. In his first three seasons he didn’t even win most of the matches he played at the tour level. In 1996 he had reached his first finals in Philadelphia and Coral Springs. That same year, he made the news across our home state when he upset Andre Agassi in the second round of Roland Garros. But going into the Canadian Open at the end of July, Woodruff was No. 57 in the world and had never won a tour title. He was enjoying the best year of his career thus far, with a 23-14 record, but came into the event having lost three matches in a row. 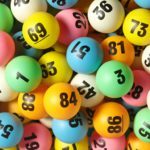 The 57th-best player in the world does not make it onto TV very frequently, unless his opponent is one of the game’s 10 at the moment. Still, in the early goings of a Masters (or, at the time, Mercedes-Benz Super 9) Event, ESPN liked to show how the American players were faring at the event. With Pete Sampras skipping the event and Agassi in his career nadir of a season, the answer was: Not great. Vince Spadea nearly topped Yevgeny Kafelnikov, but dropped a final set tiebreaker. Jeff Salzenstein took a set from Thomas Muster before pulling up lame and falling in three. Michael Chang was money in the early rounds but didn’t look any closer to closing the deal on the final Sunday of a Slam. Chris Woodruff is back at Tennessee as an Assistant Coach. I got to catch a bit of Woodruff in his first rounder against Jocelyn Robichaud, a native Canadian ranked 564th in the world. They went to a tiebreak in set one before Woodruff finally started to exert his will. In the second set, I could sense that my fellow Tennessean, annoyed with the persistence of the native Canuck, was trying to blast him off the court; the camera’s distance from the court generally disguises the pure pace and makes televised pro tennis look like a more competent and well-devised version of the sport played by my high school team, but Woodruff clearly hit hard. They were hard, but his groundstrokes were not the smooth, flowing shots of Agassi and appeared to involve little aside from the arms. His serve was holding up, but his motion made it look as though he were trying to sit on a footstool as he tossed the ball into the air. And his draw was about to get a lot tougher. It wouldn’t be televised, but his next match would be against Jan Siemerink of the Netherlands. A left-hander who charged the net, Siemerink took Woodruff to the near-limit in all three sets they played, as Woodruff fought off a match point to prevail 7-6 in the third. A good result, but Siemerink’s tricky serve and solid volleying were necessitated by his lack of punch. Next would be Goran Ivanisevic, the future Wimbledon champion who knew a thing or three about tricky lefty serving, having blasted Woodruff out of the Australian Open just six months earlier. By now, though, Ivanisevic was struggling, falling in the second round of Wimbledon and was on his way to a first-round exit from the US Open. Woodruff won the first set in a tiebreak and ran away with the second 6-2. Another fine match, but it had been Woodruff taking advantage of a classic head case at a low point in his career. Then came Mark Philippoussis, the most intimidating server of the time. Standing 6’4” and 200 pounds, the Australian would stalk up to service line, assume the gait of a power lifter about to pull something twice his weight off the ground, then uncoil a first serve the returner could only hope would go out (and that the line judge would be able to see it). Woodruff beat him 6-4, 6-4, and now clearly had some momentum behind him. The Tennessean whom Courier would call “one of the fastest white guys” he’d ever seen was tracking down the shots these big hitters were launching and striking the ball cleanly. His fellow Tennesseans now dared to see him as a legitimate threat in the semis against Yevgeny Kafelnikov, who’d won Roland Garros the previous year and was ranked No. 7. He lost the first set 7-5, but recovered to top YK by the same score in the second, then took over in the third. He won it 6-3, giving him a chance to win his maiden title at one of the game’s premier events. It was in many ways a continuation of a year that had been full of surprises for the men’s tour. Patrick Rafter and Carlos Moya are familiar names to even casual followers of the game now, but were jolts when they arrived on the scene that year, with Moya reaching the Australian Open final and Rafter taking the USO. Cedric Pioline was on no one’s shortlist at Wimbledon, and yet there he was, facing Sampras on second Sunday at the All-England Club. But the biggest surprise of the year would have to have been Brazilian Gustavo Kuerten, who’d entered Roland Garros ranked No. 66 in the world, with no career titles and a losing record on clay, before upsetting three former champions and winning the French title. He was back in Canada seeking his second tournament win, and looked a good bet to take it over Woodruff. That wasn’t just because of his higher ranking; in the semifinals he’d destroyed Michael Chang 6-3, 6-1. From 3-all in the first set, the world No. 2 player had not held serve again, as the Brazilian had simply whipped the ball from corner to corner in his typically gleeful manner. After the match Kuerten seemed almost as stunned as Chang, describing it as the best match he’d ever played and stating, almost sheepishly, that at that level he’d have “a chance” of winning the final. Watching following his win over Kafelnikov, Woodruff somehow saw something in that onslaught he could exploit. Or, perhaps it’s more accurate to say that he saw the one thing he should not do. He started less than forcefully on Sunday, getting broken in his first service game, but quickly loosened up, started moving into the court and taking the ball early. His shots kissed lines and Kuerten, facing an opponent who worked to take his time away from him, could not duplicate the form from the previous night. During that week Woodruff talked about Michael Jordan, and how in big moments His Airness played his best, took his shots and didn’t wait for the opponents to miss. He also said he’d been serving bucket after bucket of balls at home to improve his serve, finishing with 18 aces. The final ace came on match point, as Woodruff won his first career title, having beaten five straight seeded players. In doing so, he cut his ranking nearly in half, to No. 29. I’d love to tell you that this was a turning point in Woodruff’s career, and that this was the springboard to more and more titles, eventually culminating in Grand Slam glory. Woodruff, though, was already 24 when he won the Canadian Open, approaching middle aged status in tennis years. He appeared ripe for making a run at the US Open, and actually would crush future Australian Open champion Thomas Johansson in round one of New York, but couldn’t even play round two due to injury. He wouldn’t win his second title for another two years, capturing Newport in 1999. It was the last title he would win. In 2000 he reached the semis of the Australian Open, his deepest run at a Slam, before falling to Sampras. Less than a month later, he filled in for Sampras during a Davis Cup tie in Zimbabwe, winning the make-or-break fifth rubber over Wayne Black for the only result that would rival Canada as a career highlight. 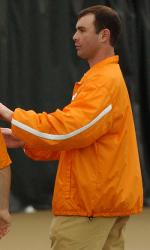 After a succession of injuries, he retired in 2002, taking a coaching position at UT, where he serves as associate head coach for the men’s tennis squad. 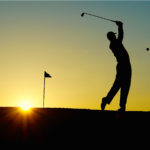 Whereas the Samprases and Agassis of the tour win multiple majors and Master’s Shields, occasionally earning the chance to achieve something truly historic, the Woodruffs of the tour, and of the world have lower-profile goals. 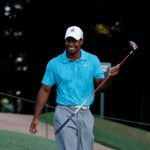 What his tournament wins have in common with Agassi’s career Grand Slam or Sampras 13th major title is that they were rare chances one spends years preparing for. My fellow Tennessean took the opportunity that was presented, though, and has his share of lessons he can impart to the athletes he’s now coaching. I won’t ever know what it’s like to be a tennis pro, but there’s still something I – and everyone else – can learn from that experience.